You've probably seen my series of "bonding time over Maya"with my son and I'm quite sad that this is the fourth and last recipe Maya sent me! 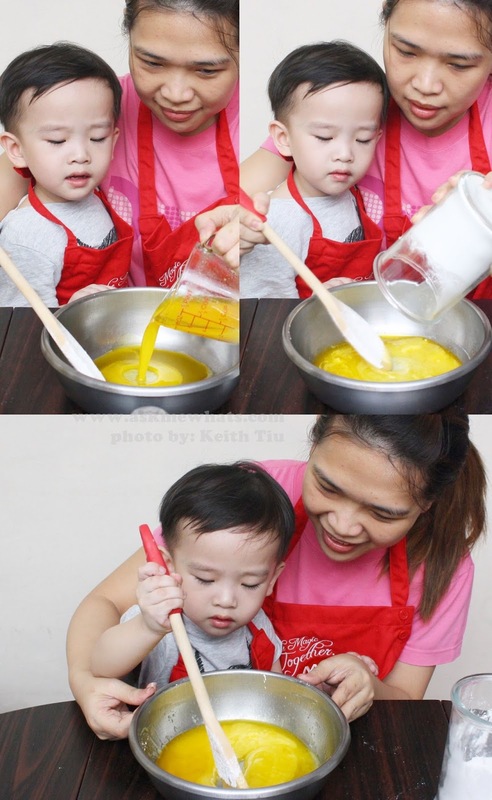 But fret not, I will definitely continue the fun Mommy-Son bonding because it is one of the BEST fun yet educational activity I've done with him! 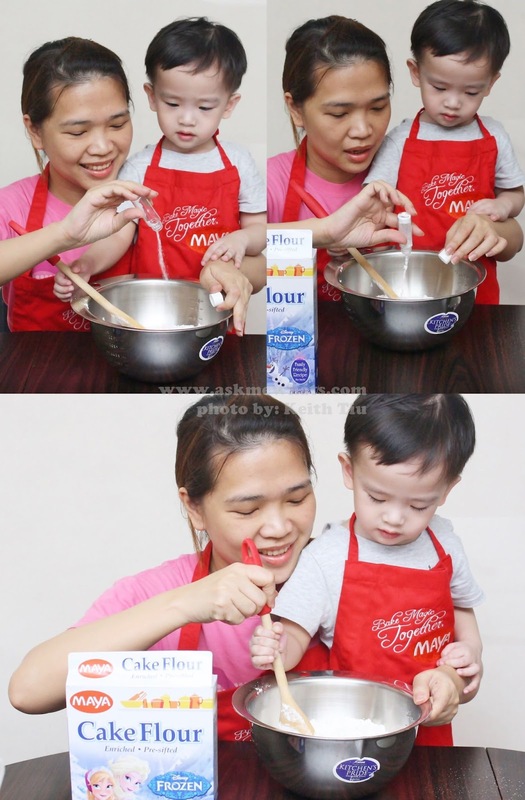 Fellow mommies, it is the best way to teach your children to follow instructions, name ingredients and be responsible enough to clean up with you afterwards! All 4 recipes done using Maya ingredients are ALL fun but I found this last one, the Peanut Butter and Choco Chip Cake to be my favorite! 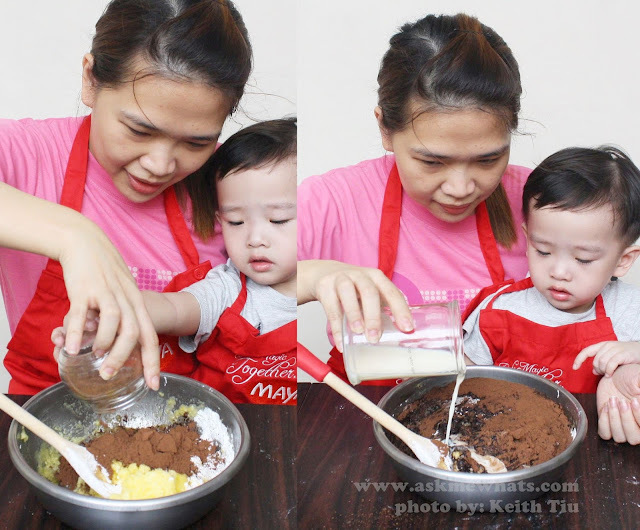 I guess, it has a lot of "mixing" to do and my son likes it! Now let's start preparing the cake! In a bowl, combine flour, baking powder and salt. This is the part were it is not only fun but educational for my son because I mention all the ingredients to him as I go on and he gets to repeat the words! He knows almost all the ingredients now! white sugar and brown sugar until fluffy. Feel free to use an electric mixer, I prefer to do so to make the consistency even. I added eggs and other dry ingredients and milk. 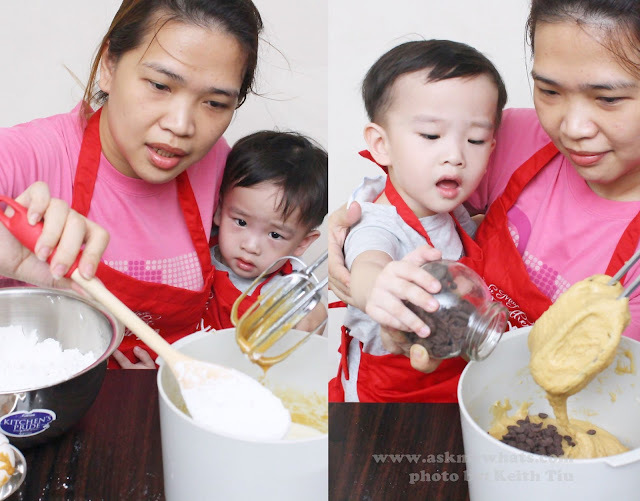 He got the hang of it and got out of his comfort zone, brave boy was the one who added semi-sweet chocolate chips. Pour batter into the prepared 9-inch round pan lined with baking paper. 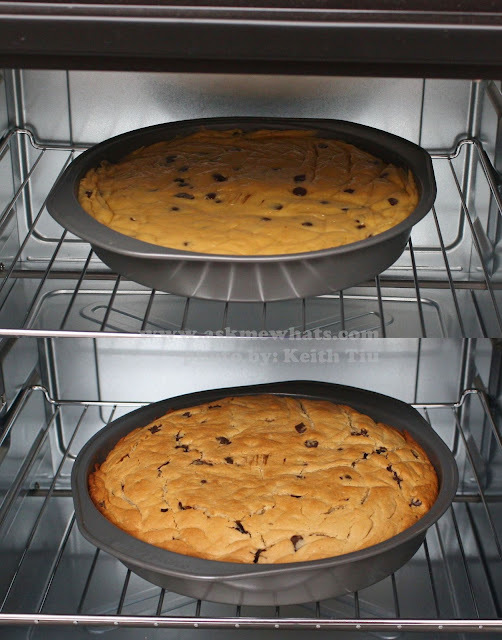 Bake for 50-55 minutes or until done in a preheated oven to 350 deg Fahrenheit or 177 deg Celsius. Now on to prepare chocolate buttercream! Using a wooden spoon, cream butter until light and fluffy. 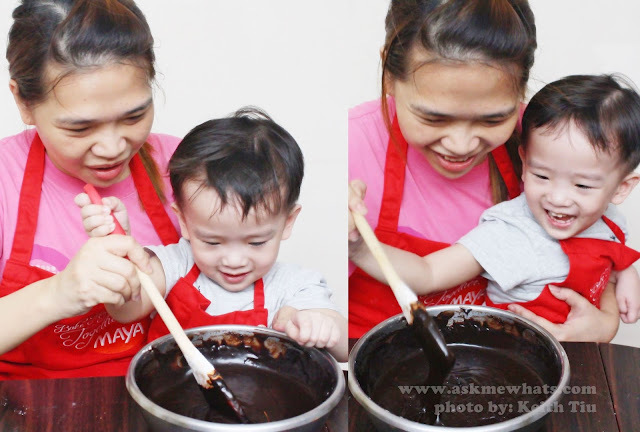 Add confectioners' sugar and cocoa powder. Look at that happy face! It was this portion while waiting for the cake to be done, I was doing various shapes and drawings with a wooden spoon and he enjoyed the "What shape is this?" game! Add milk and whipping cream and continue to beat until light and fluffy. 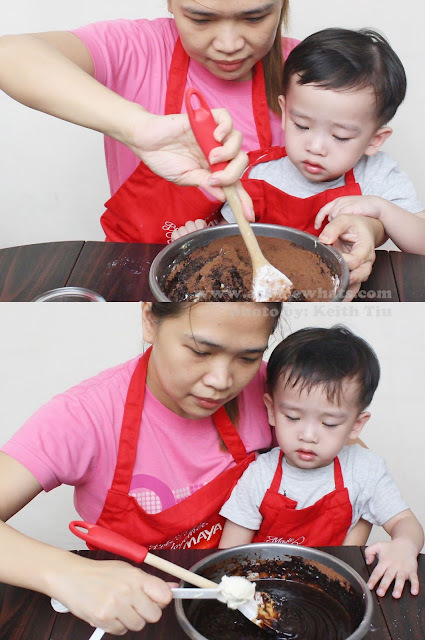 Unfortunately, it was nap time for my son as he got tired from all the mixing, I did all the assembling myself and surprised him with yummy dessert when he woke up. Feel free to decorate with your favorite nuts, in my case, I added almonds and cashew nuts. 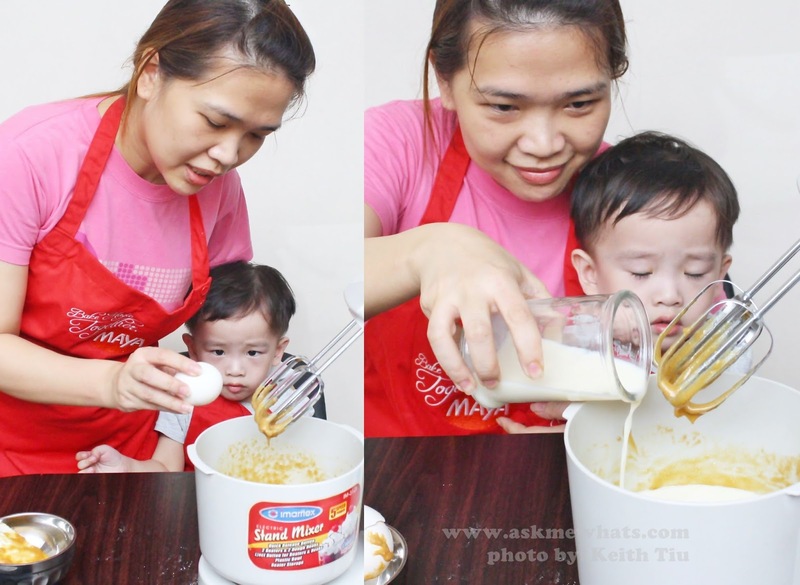 This yields 10-12 servings and I will definitely share this to my family! 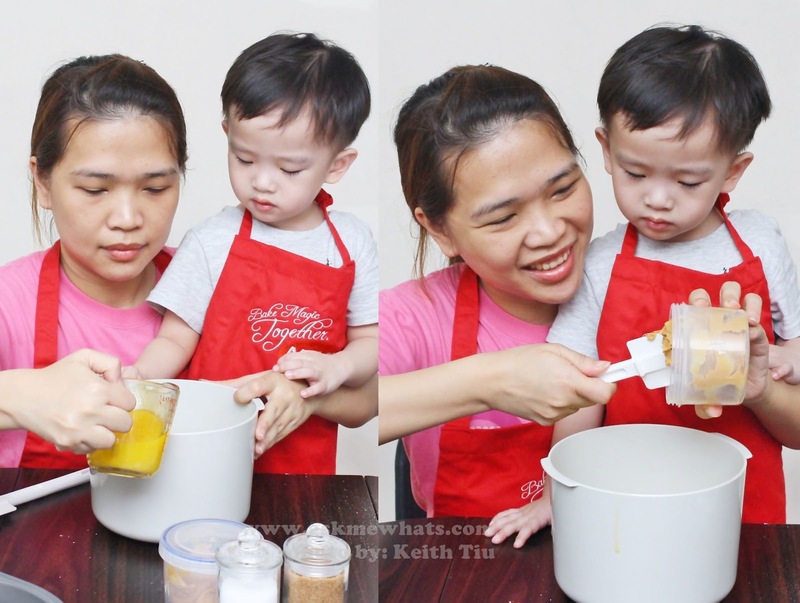 Do you enjoy this fun recipe I did with my son? talaga ? you'll love this recipe for sure!